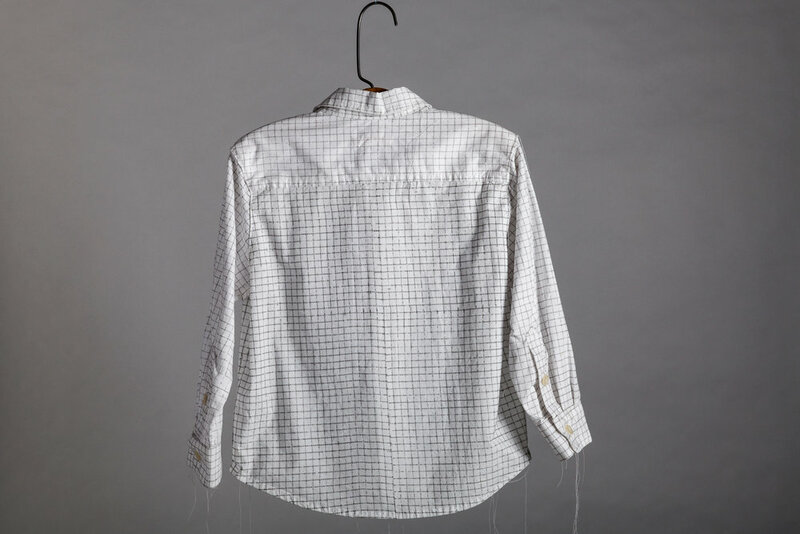 A cotton shirt originally made by an anonymous worker was disassembled at the seams into its twenty-one component parts and each piece run through a typewriter in two directions. The equals key "=" was pressed thousands of times to create a check pattern hand-typed directly onto the fabric. Once printed the pieces were hand-sewn back together. 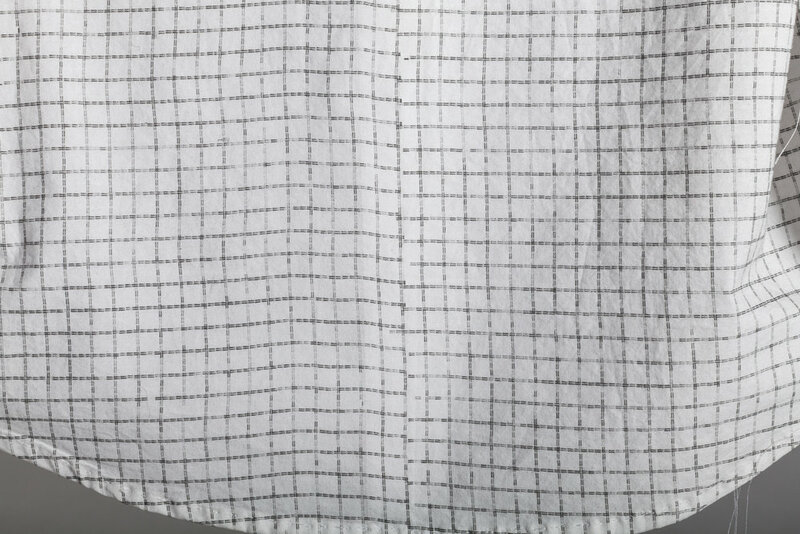 At first glance the pattern may appear industrially printed, though on closer inspection mistakes can be glimpsed; an accidental “1/2” or misaligned row. 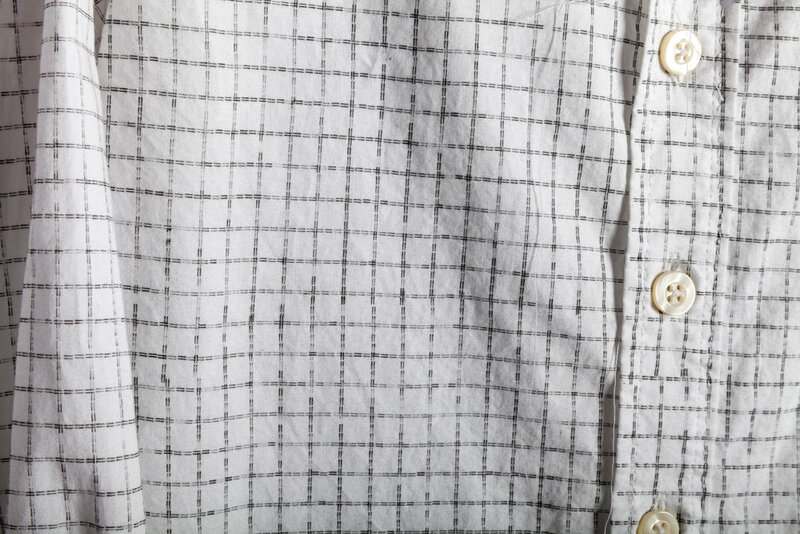 Hand-typed Check Shirt explores the relationship between the hand-made and machine-made by misusing a machine designed to accomplish one kind of task, to achieve another that it is quite unsuited for.